Bubble tea, also called boba tea, originated in Taiwan before becoming popular in the United States. This unique drink is characterized by small chewy tapioca balls at the bottom of the drink. This drink has become a worldwide phenomenon—and North Dakota is hopping on the bandwagon. Take a sip of something unique and sweet at these great bubble tea places in the state! As the name indicates, the Tea and Crepe Cafe in Grand Forks is one of the best little cafes in town that serve up tea and crepes! Their specialties are smoothies, milk tea, yogurt, ice tea, crepes, and bubble tea. Several varieties are available including bubble milk tea, taro bubble tea, mango bubble tea, jasmine bubble tea, and honeydew bubble tea. Fargo’s Teaberry is a tea-lover’s dream come true! This charming cafe serves up white teas, green teas (Japanese sencha, lotus tea, and snow mountain dragonwell tea, to name a few), oolong tea, herbal tea, caffeine free teas, thai tea, milk tea, coffee, and, of course, boba tea. Jasmine green tea is used as the base of the drink and blended with all-natural powder flavors. Customers can choose from a huge variety of boba flavors that include almond, banana, blueberry, cantaloupe, cherry, chocolate, coconut, green apple, green tea, honeydew, kiwi, lavender, lychee, mango, mocha, orange, papaya, passion fruit, peach, pina colada, pineapple, raspberry, red bean, strawberry, taro, vanilla, or watermelon. Coffee boba drinks are also available. Bismarck’s Steep Me A Cup of Tea is a charming and cozy shop serving up both hot and cold beverages. They serve over 100 different kinds of loose tea. The staff members are all tea experts and can find exactly the tea to fit different customers’ needs. One of their best teas, however, is the bubble tea! Customers can craft their own bubble tea by choosing flavors, type of milk, and boba to go in, giving customers a boba drink to fit their exact tastes! This hip and modern coffee shop is a popular meeting spot for the people of Dickinson. Opened in 2011, this coffee shop is housed in a historic former church built in 1887, that was once even visited by President Theodore Roosevelt. Now, customers can enjoy the beautiful old building while sipping on their drinks and eating delicious pastries. The menu also offers bubble tea in one of two ways, either in a blended drink with a milk base and any loose tea combined with flavor over tapioca pearls or as a fruit smoothie poured over tapioca pearls. Opened in 1995, for decades China Garden has served some of the best Chinese food in the Mandan-Bismarck community. 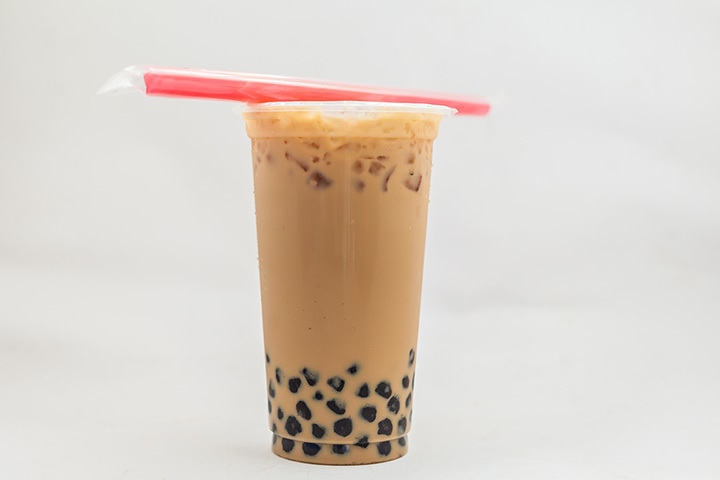 They are also one of the only places in the area that offers boba tea! The menu includes other authentic Chinese favorites like seafood dishes, egg foo young, sweet and sour dishes, vegetable dishes, healthy diet food, chow fun or mei fun, moo shu dishes, fat free specials, and much more! This Thai restaurant offers filling, authentic, and delicious food that can be washed down with their refreshing bubble tea! The menu offers favorites like poke bowls, ramen and rice bowls, desserts like mango sticky rice or fried banana, and a variety of appetizers like crispy avocado, gyoza, ginger salad, seaweed salad, or octopus salad. The bubble tea is available as either thai ice bubble tea or white mocha Frappuccino with boba. Only recently opened, Fargo Coffee has been one of the best places in town to stop in for a cup of joe or tea. The coffee is unbeatable, using fresh, organic, and locally roasted beans. Not only coffee, they also serve up pastries, cold brew, teas, blended coffee frappes, smoothies, and bubble tea.